The Romanian market is growing enormously and has special needs in the areas of sales and marketing. We are working with our Romanian representatives to develop customized sales training programs in Romania. While John still does the individual training programs, review programs and follow-on programs and all arrangements are being handled by our representatives, Leads Management whose headquarters are located in Bucharest, Romania. 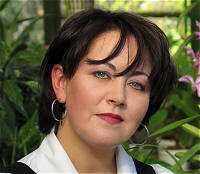 Liliana Tanase is the founder of Leads Management. Leads Management, a major consulting firm with offices in Bucharest, have agreed to represent us all over Romania. They provide very similar services to those we offer in the United States.